According to the industry publication New Hope,1 coenzyme Q10 (CoQ10) and the reduced version, ubiquinol, are among the most popular supplements for mitochondrial health. Between 2000 and 2016, the number of Americans using CoQ10 increased from 2 million to 24 million, and the number of brands featuring CoQ10 has increased from 18 brands to 125. This rapid growth suggests people are becoming increasingly familiar with the importance of mitochondrial health, which is great news. Even better, a recent poll2,3 reveals CoQ10 is now also the No. 1 supplement recommended by cardiologists for all patients. For years, I’ve warned that anyone taking a statin drug to lower their cholesterol really must take a CoQ10 supplement — or better yet, ubiquinol, which is the active, reduced form — to protect their health, especially their heart health. In the past, few doctors, including cardiologists, would warn their patients of the fact that statins deplete your body of CoQ10 (and other important nutrients, including vitamin D). It appears this may now be slowly changing. Your body also produces less ubiquinol with advancing age, which is why supplementation is recommended even if you’re not on a statin drug. Ubiquinol — the reduced, electron-rich form of CoQ10 that your body produces naturally — plays an important role in the electron transport chain of your mitochondria, where it facilitates the conversion of energy substrates and oxygen into the biological energy (adenosine triphosphate or ATP) needed by your cells for life, repair and regeneration. It’s a fat-soluble antioxidant, meaning it works in the fat portions of your body, such as your cell membranes, where it mops up potentially harmful byproducts of metabolism known as reactive oxygen species. Taking this supplement helps protect your mitochondrial membranes from oxidative damage, and this in turn has been shown to be helpful for a number of health conditions and chronic diseases. Low CoQ10 levels have also been detected in people with certain types of cancer,4 including lung, breast and pancreatic cancer, as well as melanoma metastasis, further strengthening the metabolic theory of cancer. The word “coenzyme” also provides a clue to its importance; it works synergistically with other enzymes to digest food, for example. It also has the ability to increase your body’s absorption of important nutrients. More specifically, it helps recycle vitamins C and E, thereby maximizing their beneficial effects. The video above is a rerun of my interview with Robert Barry, Ph.D., a prominent CoQ10 researcher, in which he discusses the many reasons for taking CoQ10. 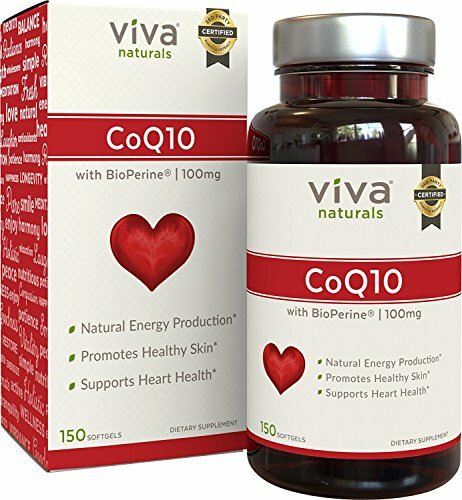 Research shows CoQ10 is particularly important for heart- and cardiovascular conditions, including congestive heart failure5 and high blood pressure.6 Research also suggests CoQ10 can aid recovery after bypass and heart valve surgeries.7 I personally think all heart failure patients should be on ubiquinol. To me, not doing this is medical negligence. When it comes to heart health, a more general benefit is that ubiquinol also acts as an antioxidant in your blood, where it prevents the oxidation of LDL cholesterol, thereby helping prevent atherosclerosis. A 2015 study8,9,10 found that older individuals who took a combination of CoQ10 and selenium daily for four years suffered fewer heart attacks, required fewer days in the hospital and had lower all-cause mortality. They also reported higher quality of life, compared to controls who received a placebo. Ubiquinol/CoQ10 also helps quell inflammation. Ubiquinol has been shown to have a positive effect on two inflammation markers, NT-proBNP and gamma-glutamyl transferase (GGT), the latter of which is an early marker for heart failure. Levels of these markers are reduced and the genes linked with them are downregulated with ubiquinol supplementation. This can lower your risk not only for heart problems but also any number of other conditions associated with chronic inflammation. By depleting your body of CoQ10, statin drugs not only increase your risk for heart problems, they also significantly increase your risk of diabetes.11 Rosuvastatin (Crestor), for example, is associated with a 27 percent increased risk of Type 2 diabetes.12 According to one 2011 meta-analysis,13 the higher your statin dose, the greater your risk of drug-induced diabetes. The “number needed to harm” for intensive-dose statin therapy was 498 for new-onset diabetes — that’s the number of people who need to take the drug in order for one person to develop diabetes. In even simpler terms, 1 in 498 people who are on a high-dose statinregimen will develop diabetes. “By design, statins interfere with the production of new cholesterol molecules by blocking an enzyme called HMG-CoA reductase. But in the process, they also block a precursor of CoQ10, interfering with its natural production and resulting in lower CoQ10 blood levels. Making matters worse, lowering LDL cholesterol impairs CoQ10 transport into cells. 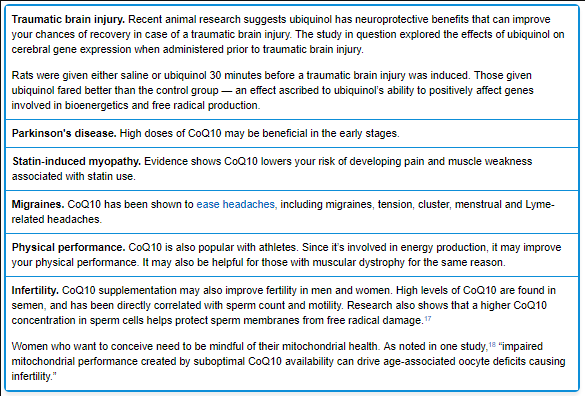 As mentioned, ubiquinol is the reduced version of CoQ10 (aka ubiquinone). They’re actually the same molecule, but when CoQ10 is reduced it takes on two electrons, which turns it into ubiquinol. In your body, this conversion occurs thousands of times every second inside your mitochondria. The flipping back and forth between these two molecular forms is part of the process that transforms food into energy. Ubiquinol production ramps up from early childhood until your mid- to late 20s. By the time you hit 30, it begins to decline. Young people are able to use CoQ10 supplements quite well, but older people do better with ubiquinol as it’s more readily absorbed. People with a genetic single nucleotide polymorphism (SNP) called NQO1 lack the enzyme required to convert CoQ10 to ubiquinol in their bodies, and they definitely need to use ubiquinol or they won’t get any of the benefits. Research has shown that Hispanic and Chinese populations are especially prone to having this SNP.19,20,21 There are also genetic tests you can get that can identify whether you have it. For all of these reasons, I typically recommend using ubiquinol, especially if you’re over 40. Interestingly, recent research shows you can improve your body’s conversion of CoQ10 to ubiquinol by eating lots of green leafy vegetables, which are loaded with chlorophyll, in combination with sun exposure. Once chlorophyll is consumed it gets transported into your blood. Then, when you expose significant amounts of skin to sunshine, that chlorophyll absorbs the solar radiation, facilitating the conversion of CoQ10 to ubiquinol. 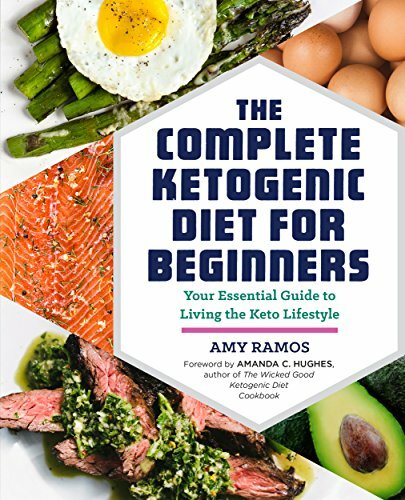 Suggested Dosing Recommendations The Complete Ketogenic... Amy Ramos, Rockridge P... Check Amazon for Pricing. Dosing requirements will vary depending on your individual situation and needs. As a general rule, the sicker you are, the more you need. That said, studies typically cap the dose at 600 mg per day for severely ill people. If you’re just starting out with ubiquinol, start with 200 to 300 mg per day. Within three weeks your plasma levels will typically plateau to its optimum level. In one study, concentrations of ubiquinol increased nonlinearly with dosage over the course of a month, plateauing around levels of 2.6 grams per milliliter (g/mL) at a dosage of 90 mg/day; 3.7 g/mL for a dose of 150 mg/day and 6.5 g/mL for a dose of 300 mg/day, about midway through the month.22 After the first month, you can go down to a 100 mg/day maintenance dose. This is typically sufficient for healthy people. If you have an active lifestyle, exercise a lot, or are under a lot of stress, you may want to increase your dose to 200 to 300 mg/day. Remember, if you’re on a statin drug you need at least 100 to 200 mg of ubiquinol or CoQ10 per day, or more. To address heart failure and/or other significant heart problems you may need around 350 mg per day or more. I personally take 300 mg of ubiquinol every day. Ideally, you’ll want to work with your physician to ascertain your ideal dose. Your doctor can do a blood test to measure your CoQ10 levels, which would tell you whether your dose is high enough to keep you within a healthy range. 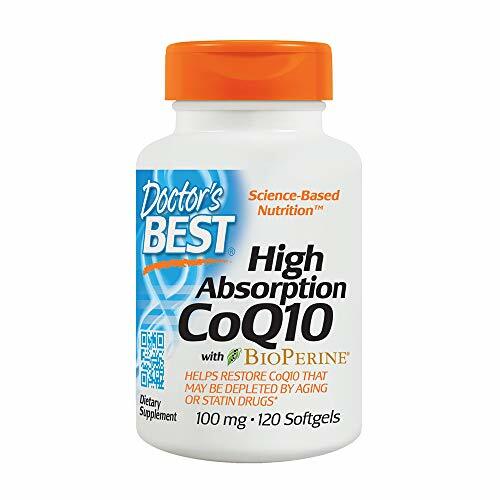 CoQ10 (or ubiquinol) is also appropriate for those with other chronic diseases besides heart problems, such as diabetes, amyotrophic lateral sclerosis, chronic fatigue, migraines and autism, for example.